Godzilla: King of the Monsters is a film I've been patiently waiting to see a trailer for. I liked 2014's Godzilla, but I didn't think it was nearly as good as it could have been. It chose to focus on pointless human characters instead of Godzilla, and the film suffered for it. Now, I actually really enjoyed Kong: Skull Island. It's not a work of art, but I think it's a fun, action-packed monster movie, and it's Skull Island that has made me really excited for 2020's Kong vs. Godzilla. But before we get to that, we have Godzilla: King of the Monsters coming out next year. What has me excited for this one is the inclusion of the classic Godzilla monsters Mothra, Rodan, and King Ghidorah, who were teased in the post credits scene of Skull Island. I'm really looking forward to seeing a modern take on those characters, and to see Godzilla battle it out with them. What has me nervous about King of the Monsters, however, is that it's being directed by Michael Dougherty. He did Krampus back in 2015, which I was not a fan of at all. So I am worried about him directing it. But like I said, I've been waiting to see a trailer to get a better gauge of how I think the movie will be. And, at San Diego Comic Con, the first trailer for Godzilla: King of the Monsters dropped, which opens in theaters on May 31. Turn off the sound, and you have a beautiful trailer. The visuals are absolutely stunning, and it feels epic in scope. The CGI looks fantastic, and I really felt immersed in the world. However, I didn't feel like the trailer's score fit with what I think the tone of the movie should be. The music sounds like it's from a hopeful, awe-inspiring Lifetime movie, not Godzilla. I think the trailer needed a far more ominous score to accompany visuals of the literal destruction of the world. They just didn't blend well together. But, like I said, the visuals are gorgeous. The designs of Mothra, Rodan, and King Ghidorah are excellent. We see enough of them to get a sense of what they will look like, but not too much to reveal the whole thing, and I like that tease. I don't want to know what they fully look like until I'm actually sitting in the movie theater watching the film. Now, I mentioned before that my biggest issue with Godzilla was that it spent so much time on boring human characters. This trailer for King of the Monsters is human-heavy, and I really hope they don't make the same mistake again. Now, you can make a Godzilla movie where the humans are the center of the film work, as long as the characters are compelling and the actors give good performances. If King of the Monsters is going to be human-heavy, I just hope we care about the characters, and they're not just throwaway, one-note wastes like they were in the original. The movie may end up being trash, but, aside from the music, I actually quite like this first trailer. What do you think? 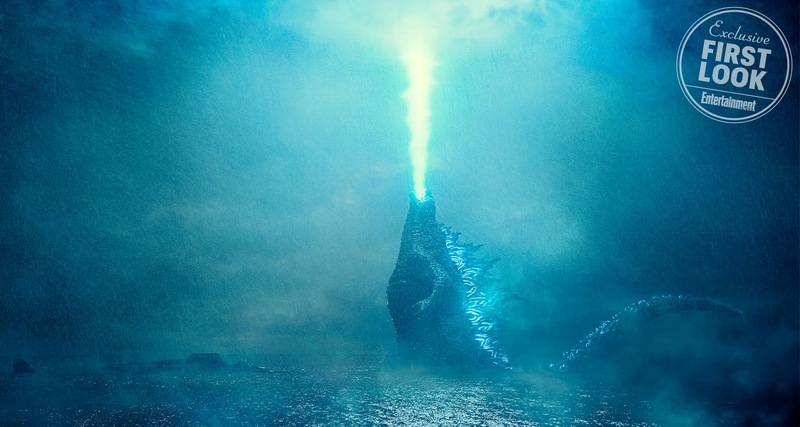 Did you like the first trailer for Godzilla: King of the Monsters? Are you planning on seeing the film? Leave your thoughts in the comments section below.